One of Manila’s most respected hospitality executives, Vicki brings her creativity, verve and passion for all things ‘pre-opening’ to Hotel Solutions Partnership. Her knowledge and experience of strategic marketing, developing and executing brand concepts and event design have helped to set the operational and customer experience standards for Grand Hotels & Resorts Group, Shangri-La, Pacific Hotel Manila and Best Western in the Philippines, where she was a key member of their Pre-Opening teams. Vicki began her career in the travel industry. At British Airways, she spent nine years as Marketing/Sales Executive and Airport Supervisor. After, at Lane Moving, she held the position of General Cargo and Exhibitions Division Manager, where she headed the import and export operations of all cargo and exhibition equipment. Vicki helped to launch Shangri-La Makati as one of Manila’s most successful luxury/business hotels. As Director of Marketing Communications of the Pre-Opening Team, Vicki developed and ran the 10-for-the-Arts Fund, and the Save-Our-Species Fund, and was behind several of the hotel’s awards, including Business Traveller – Top Hotel; Asia Money – Best Hotel; Euromoney – 1st in Manila; M&C Asia/Pacific Gold Key and Platter – finest hotel and F&B service. Currently Vicki is President and CEO of a management company in the Philippines providing technical, pre-opening and operating/management services to clubs/hotels/resorts. 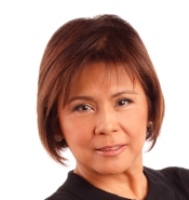 Her clients include Ayala Land, SM Land, Kawayan Cove and Aura land group of companies. She is concurrently General Manager of Best Western Oxford Suites Makati Hotel, a leading condominium designed for business travellers, directing business development, product enhancements and improvements and overseas marketing and advertising. Vicky has a degree in Hotel & Restaurant Administration from the University of the Philippines.